This is an acrylic painting on a hardboard panel. The painting measures 10″x 8″. 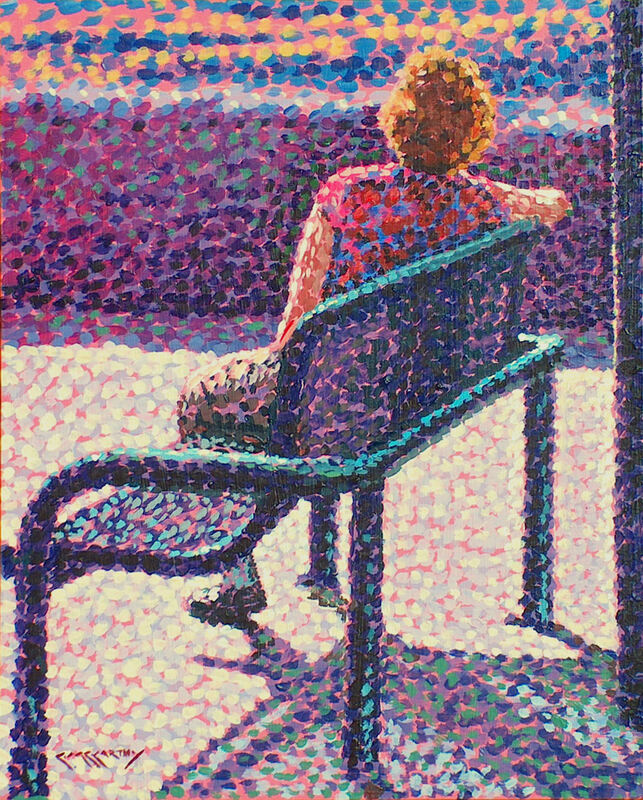 This pointillist painting depicts a lone woman sitting on a bench. Simple. I was just intrigued by the composition ,of my wife at park in Colorado Springs. This pointillist painting is being sold unframed.